Recruited to lead the redevelopment of the real estate agent product line. Developed plan to enable a desired revenue model shift from a consumer-driven one to an agent and investor-driven revenue model. Increased traffic to agent registration pages by 40% after developing new landing pages, banner links, product pages and improved onboarding to facilitate online registration. Selected to develop FICO Score-related software products for lender and consumer markets. Developed ScoreInfo.org, a new consumer credit education website and FICO’s solution to facilitate lenders’ compliance with new risk-based pricing disclosure regulations. Re-launched FICO Score Trends reporting service for lenders as a hosted SaaS solution and increased the product’s annual revenue by 340%. Accountable for growing revenue of $14 million business information and web-based software product suite, managing the entire product life-cycle, including development and marketing. 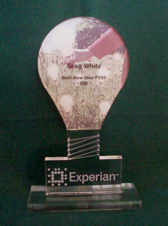 Awarded Idea of the Year in 2008 for new hosted business credit monitoring product, which generated over $1.5 million in new business during its first six months of availability. Doubled annual revenue of a mature portfolio management product suite, averaging over 19% annual revenue growth versus 6% annual business unit revenue growth. Led multiple cost-saving and revenue-driving strategic initiatives and special projects, with cross-functional project teams as large as twelve. Co-authored business case to develop next-generation hosted delivery platform to broaden clients’ use of business credit management product line, which was launched in 2010. Charged with turning around a struggling international products suite and moving the majority of Experian’s client base to an internet-based product delivery system. Reversed four-year negative revenue trend into six years of growth, averaging 18% annual revenue increase. Eliminated over $140,000 in annual operational costs and enhanced client experience by building a web-based product access portal and migrating 26,000 client users to the web. Built and managed several categories of leading internet shopping search site through partner sourcing, data integration, technology development, team management and direct sales efforts. Managed business model transition from e-tailer to shopping search and comparison site, building three major categories into robust, traffic-generating assets in four months. Reduced data costs by 25% and improved site content by integrating four new content vendor databases. Increased click-through traffic by personally soliciting e-tailers for their product files and pay-per-click royalties. Led team of associate product managers responsible for Toys, Baby and Home categories. Executed entire marketing function and supported sales and operational efforts. Improved sales readiness and web-based sales leads by redesigning company web site. Established credibility of company’s products through the development of client success stories on the updated web site. Reduced costs and increased efficiency by developing an electronic product sale inventory, replacing a paper-based tracking system. Responsible for leading a team of interns in development and execution of in-arena and community-based promotions and advertising that increased team exposure and ticket sales. Negotiated mutually lucrative advertising and post-game event contract with major restaurant chain and managed popular post-game event program. Generated over $44,000 for charity by developing a fan carnival in the arena parking lot. Directed game operations for only professional inline hockey game televised live on ESPN. "Greg is always looking for improved ways of doing things. He can look for answers in non-traditional ways and is often the first to see an opportunity to improve before others see it." "Greg is quietly relentless in his pursuit to deliver the optimal solution to meet the company's objectives while ensuring customer success and satisfaction." "Greg has a passion for the solutions he manages. He truly has a unique ability to see market trends and to create solutions that generate substantial revenue." "He's energetic, versatile, and able to adjust to a constantly changing environment. He can take a concept and thoroughly define it, getting input and building consensus, and execute in a tight timeframe." “Greg leads with a consistent vision and attitude. He accepts only a great outcome, and shares that enthusiasm with his team." "Greg is not afraid to challenge the creativity and ability of his team in order to produce the best practices and products. He is a true leader and innovator." "Greg brings a view of the bigger picture, yet effectively manages all the details." "Greg is an absolute dynamo. His energy level and ability to make things happen are enviable." In addition to my years of experience in product management and marketing, I have experience in residential sales, commercial leasing and property management during 12 years as a California licensed Real Estate Agent. 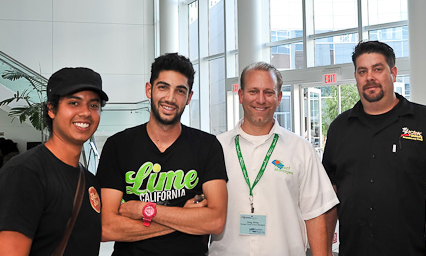 Greg is a member of the alumni council that advises the marketing department of the Mihalyo College of Business and Economics at Cal State Fullerton on marketing curriculum and current issues and trends in the business market. Greg served on the board of the Southern California chapter of the Product Development and Management Association between June 2009 and November 2010 as Marketing Chair. During this time, he was a catalyst in the chapter's resurrection. During Greg's tenure, meeting attendance increased 46%, a major corporate sponsor was added, costs were reduced and attendee prices were driven down while meeting quality improved significantly. In addition to his marketing role, he led the chapter's program development and meeting operations. I love solving business problems! I’m an entrepreneurial product management leader who is passionate about growing revenue with a market-driven approach. A strategically-focused difference maker, I have 14 years of proven success developing new products, reviving struggling ones and managing highly effective teams and programs. As a product manager, my expertise covers the full product life-cycle from developing the product strategy, market requirements and business case, to creating user stories and overseeing the product development, to product launch and promotion. I’ve built successful new products, I’ve grown mature products and I’ve turned around struggling ones. I have a knack for solving problems and I'm always looking for a better way to do things. As a leader, I've designed product management processes, managed several strategic initiatives and led teams to reach organizational goals. My tactical planning is done from a strategic perspective and I'm passionate about what I do. 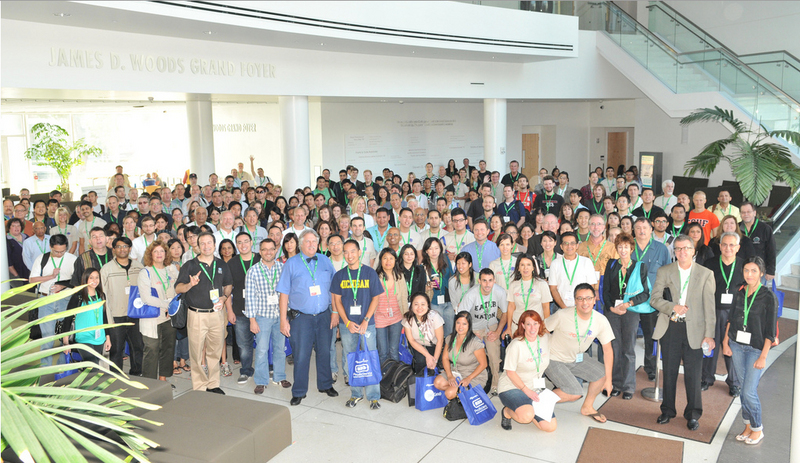 I founded Orange County Product Managers, the largest professional product management community in Southern California and founded one of the most successful ProductCamp programs in the world. My passion is fueled by working in fast-paced environments where innovation and entrepreneurialism are encouraged and customers' needs come first. I believe strongly that success comes from aligning product solutions with market needs and company objectives. Specialties: Full life-cycle product management, product development, product marketing, revenue growth, team building, organizational leadership, process improvement, creative innovation, turnaround management, Agile Scrum and Waterfall product development. Industry experience includes: information services, web-based software applications, e-commerce and real estate services.